Fox Pest Control provides pest control in North Babylon and the surrounding areas. We take pride in providing exceptional customer service, and take to heart the feedback we hear from each and every one of our customers. 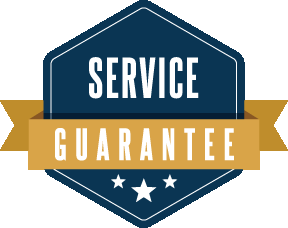 Below you’ll find our reviews, testimonials, and feedback from the home owners and businesses in North Babylon we’ve serviced. If you need a North Babylon exterminator, contact us today! I have only had two treatments with you so far. So far so good. Great service. Danny was the technician who came to my house. He was very nice and informative. David is experienced and very knowledgeable. Felt very comfortable about how this was going to work. Would recommend this company and especially David to a friend no questions asked. The serviceman that came to our house was great. Took the time to explain everything and did a great job. He was very professional! The staff has always been professional, they answered all of our questions regarding their products and it being pet friendly. They notify me a few days before coming to our home as a courtesy, and I highly recommend their company as we have seen the results of their products. We are moving off of the island but will leave all of their information for the new home owners with high regard. Thank you Fox Pest Control and your past service. Its been very good. The guys are fast and professional.